This luxury red suede collar will look spectacular on your dog! 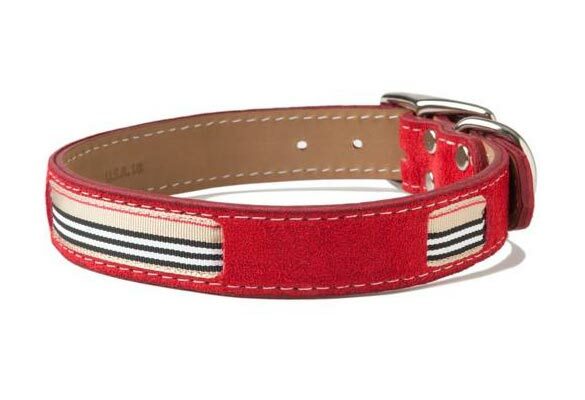 Interwoven with black and white striped grosgrain ribbon, this suede dog collar is cuter than ever! Radiant Red suede is double-layered for sturdiness and safety while the beveled, hand finished edges make for an extra comfortable fit. Made in the USA. This red suede collar will look spectacular on your dog! Interwoven with black and white striped grosgrain ribbon, the Radiant Red is more stylish than ever. Radiant Red suede is a double-layered designer collar. 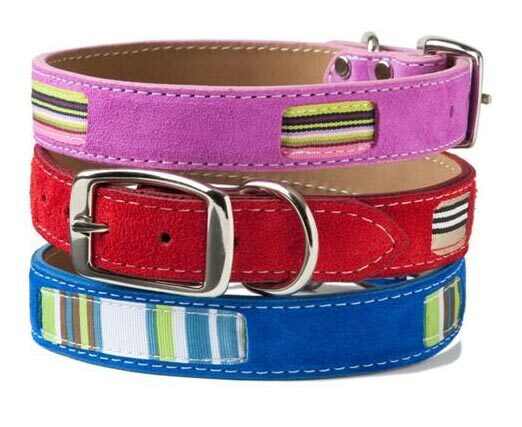 Designer collar by Bookie and Belle.